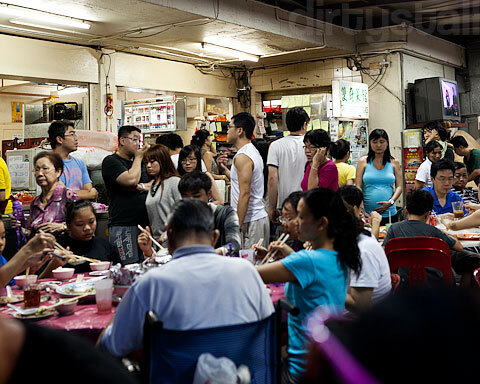 Two Chefs Eating Place is an extremely popular zi char stall located deep in the heart of Commonwealth Crescent. Reaching there any later than 6pm results in you and your companions standing around in a long queue. 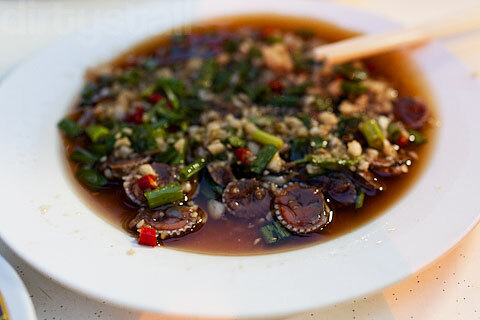 My friends ordered this popular dish, the chilled raw cockles with lots of garlic, chilli and soy sauce – which I don’t eat so I can’t comment on. But seeing how they loved it, and so many other tables ordering it, I reckon it must be pretty good. 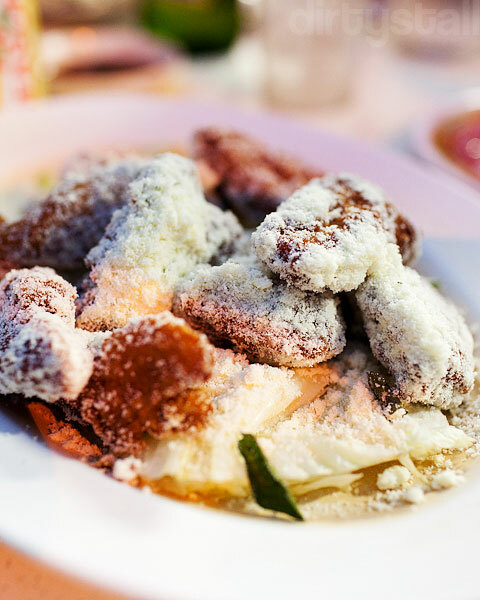 Then of course the signature dish that almost everyone orders when they’re here – the butter pork ribs! Tender and delicious, with the buttery powder coating the outside of the ribs, you’re tempted to just scoop more of it onto your bowl. 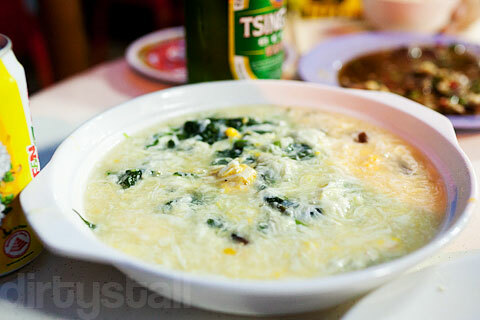 Another vegetable dish that’s usually ordered- the 3 egg spinach. Slightly thicker than other places but I think the flavours worked out well and they’re certainly generous with the eggs. 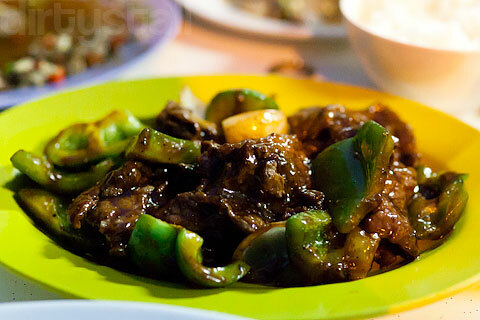 And a final dish to fill us up, the black pepper sliced beef. Tasted like pretty much every other black pepper sliced beef I’ve eaten but at least the sauce was decent. Overall I’d say Two Chefs is a good place to go if you want food that is cheap, generously portioned and comes fast but the flavours are not as good as other zi char stalls. I’ve been here a couple of times already and their other dishes are just not up to mark with other places so I usually come here as a last resort when the zi char stall at the market next door has a 2 hour wait or if I really have a butter pork ribs craving. 4 Responses to "Two Chefs Eating Place"
Do try their hor fun with egg stirred inside, and their sambal fried rice! Love the wok hei fragrance- pure comfort food especially on a cold, rainy day. Usually the friends and I just order these and share.